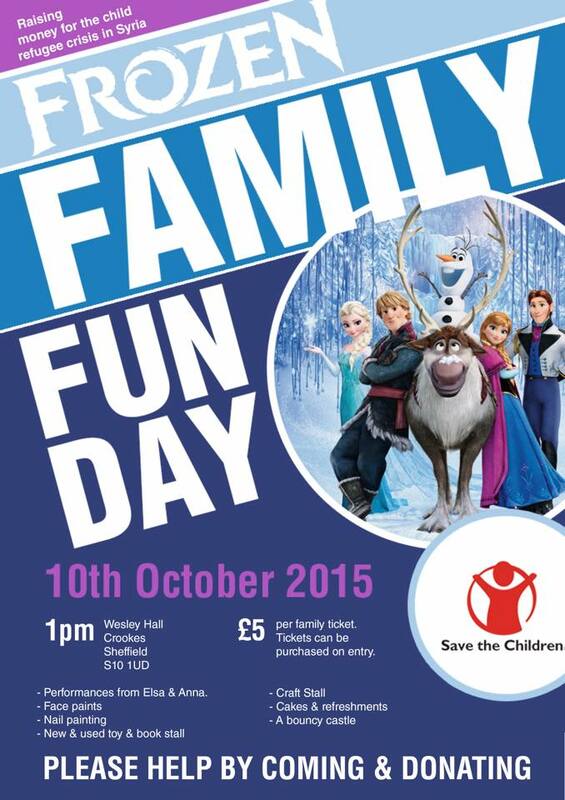 Saturday’s Frozen Family Fun Day raised over £2,500 for the Save the Children child refugee appeal. The family day out organised by Donna Fyfe took place at Wesley Hall in Crookes. There were live performances from Queen Elsa and Princess Anna, face and nail painting, a bouncy castle, raffle, as well as cake and craft stalls. Cash donations for tha cause can still be made for the next week via the Just Giving page at www.justgiving.com/Frozen-Family-Fun-Day.